The I-League has completed its seventh week and it has been quite action-packed seven days that we have witnessed. With Chennai City FC consolidating their top position with a fighting draw against Mohun Bagan, Churchill Brothers also kept their unbeaten run with after being held against Gokulam Kerala. Minerva FC have finally found their second win against Indian Arrows while Shillong Lajong lost again at their home, this time against north-eastern rivals NEROCA FC. 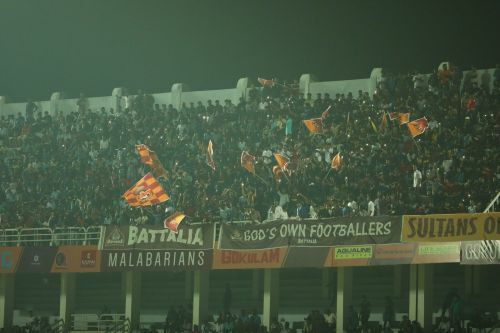 The most interesting match that has been played in this time happened to be Chennai City and Mohun Bagan. Chennai faced a tough challenge in the form of Mohun Bagan and their perseverance for an equaliser was paid when Nestor Gordillo scored in the 81st minute. Mohun Bagan went ahead with a fine display from their talisman Sony Norde but it was not enough for them to earn their first home win. During his time with East Bengal, Willis Plaza was often criticised for his profligacy in front of the goalmouth. He scored 12 goals in his first campaign under the then coach Trevor Morgan but missed so many. This continued in the second season too and he was released midway in the campaign last season. After joining Churchill Brothers, Plaza seems to have found new energy. The Trinidad and Tobago player silenced his criticisers with a hattrick against Shillong Lajong and followed by another brace against Mohun Bagan. He scored in the third successive match and with six goals, now leads the goal-scoring chart. But the problem of missing goals continues to trouble him. He is a man who gives his best every time he gets on to the pitch. For some unknown reasons, not all his efforts are successful. He is someone who can score goals from difficult positions but misses a sitter as he did in the Gokulam match when Dawda Cessay’s fine cross went into side-netting. The Malabarians are a promising bunch this time around with some exciting local talents. New signing Christian Sabah also impressed in his first match against Churchill. But their real test will be on Saturday when they face East Bengal.